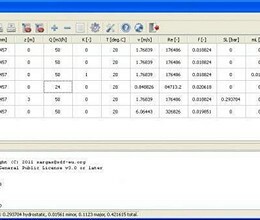 pfcalc stands for pipe friction calculator and is a CLI program that computes pressure drop in piping systems using the Darcy-Weisbach equation. The program is capable of computing minor and major pressure losses (pipe friction losses) for flow in pipes and ducts. The aim is to provide an open source alternative to similar proprietary software. The intended user base is made of those people working in the fields of mechanical and civil engineering, who need to estimate pressure drop in new or existing piping systems. 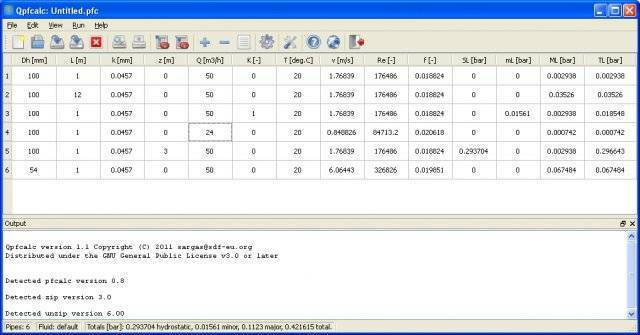 * Qpfcalc download link provides gnu general public license version of the software. Qpfcalc has been rated 5.0 out of 5 points. A total of 1 votes cast and 0 users reviewed the software.